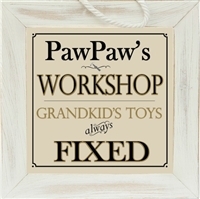 Do your kids call their grandfather “Papa?” Then you need Papa gifts from The Grandparent Gift Co. One thing proud Papas love is showing off pictures of their grandchildren. Our “brag books” let them do just that with space for precious photos in a size that's perfect for carrying around anywhere they go. 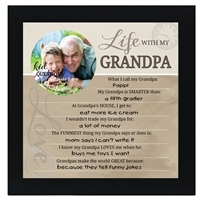 For a more elegant presentation, we offer gift ideas for Papa including photo frames with collectable designs and uplifting poems. 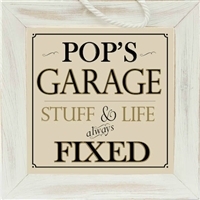 Give the special Papa in your life the gift he deserves this year with one of our fabulous gift ideas. 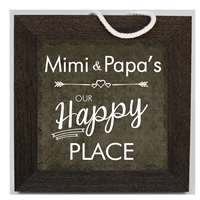 Frames featuring photos of first grandchildren make great birthday gifts for Papa to treasure for years. If you're looking for Christmas gifts for Papa, try our Circle of Love family ornament or a colorful handmade glass cross to remind him how much he's loved.